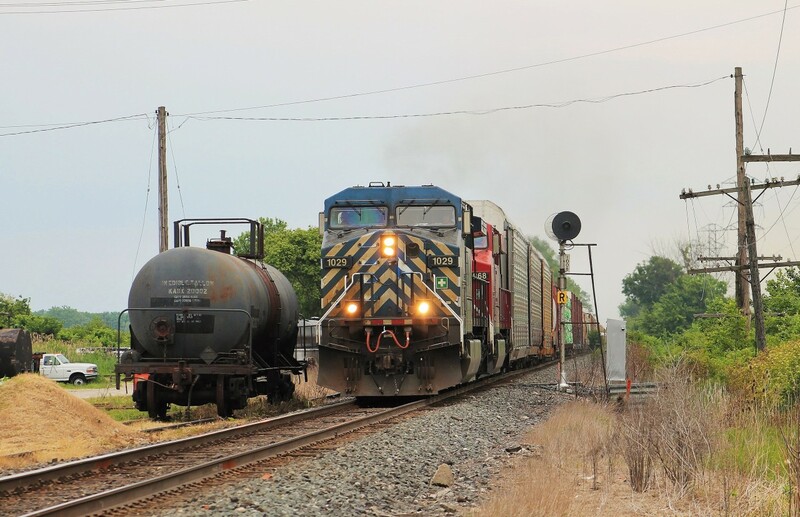 Railpictures.ca - Mike Molnar Photo: A late 141 passes the intermediate signal at MP 100 and a forgotten tank car left land locked in an unused siding. CP used to service a business here several years ago but after a fatal accident involving a tank car occurred on the property, they no longer receive rail service. | Railpictures.ca – Canadian Railway Photography – photographie ferroviaire Canadienne. Caption: A late 141 passes the intermediate signal at MP 100 and a forgotten tank car left land locked in an unused siding. CP used to service a business here several years ago but after a fatal accident involving a tank car occurred on the property, they no longer receive rail service.